SMSF must be audited annually. Let our experienced and friendly team help you. We adapt our auditing services to fit your unique needs, while maintaining quality service. 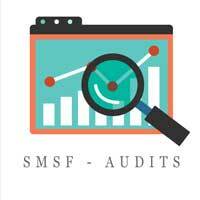 We will ensure the health and integrity of your SMSF through the annual audit. Reeves Taxation and Accounting understands and will undergo the required practices, standards and requirements to audit your SMSF, so it will be relevant, reliable and beneficial for you. We are committed to maintaining our qualified and quality performance to better your SMSF.